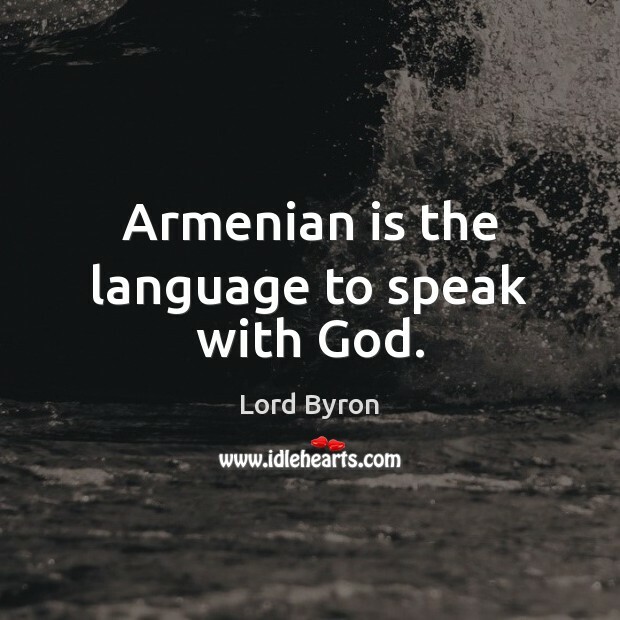 Quotations about Armenian. Quotes to stimulate mind and drive action! Use the words and quote images to feed your brain inspiring things daily! 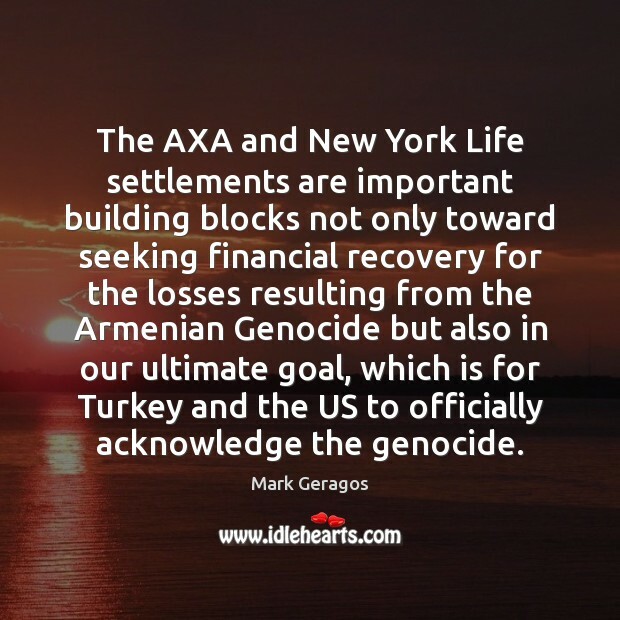 The AXA and New York Life settlements are important building blocks not only toward seeking financial recovery for the losses resulting from the Armenian Genocide but also in our ultimate goal, which is for Turkey and the US to officially acknowledge the genocide. 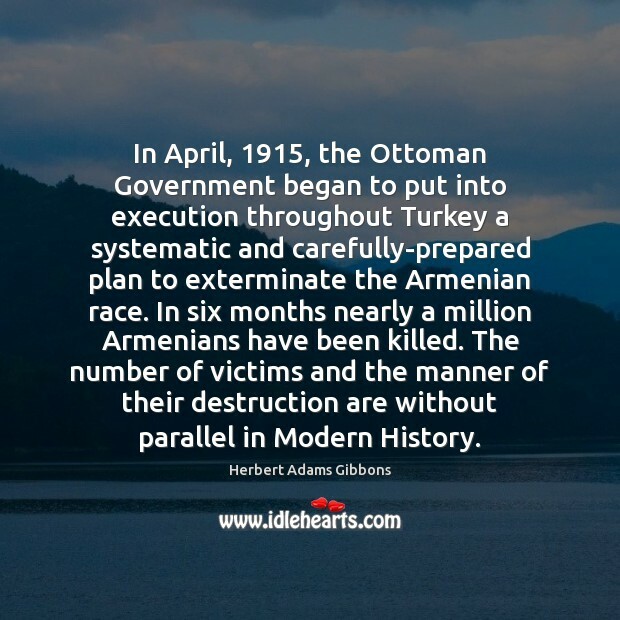 In April, 1915, the Ottoman Government began to put into execution throughout Turkey a systematic and carefully-prepared plan to exterminate the Armenian race. 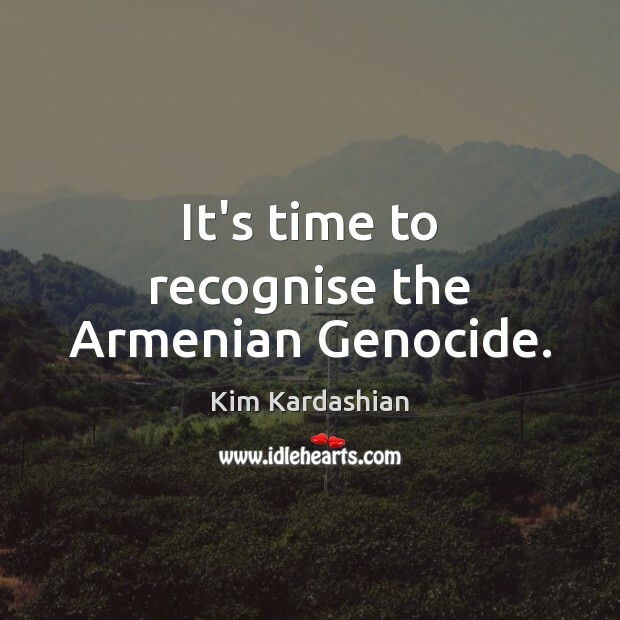 In six months nearly a million Armenians have been killed. 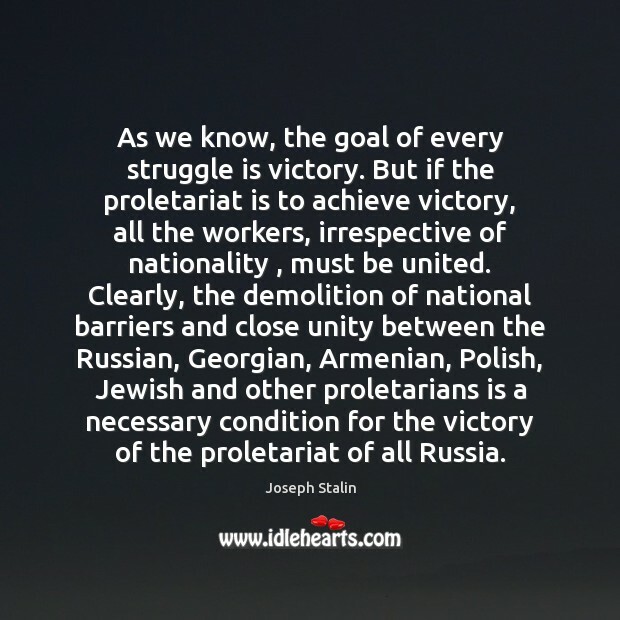 The number of victims and the manner of their destruction are without parallel in Modern History. 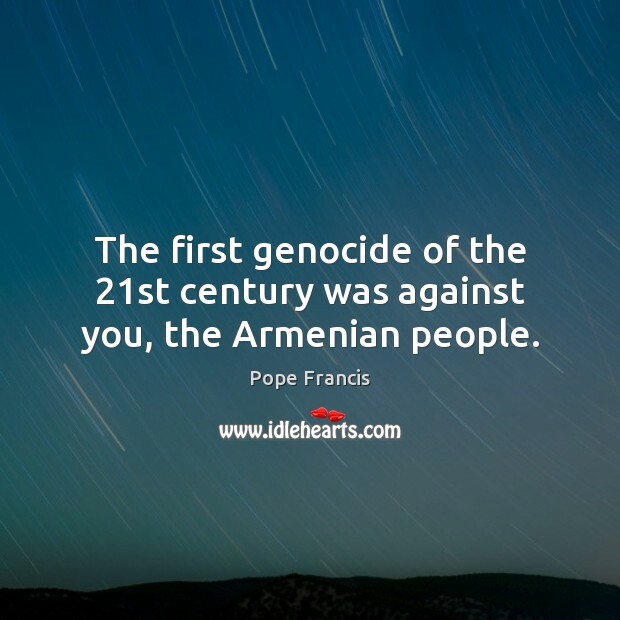 The first genocide of the 21st century was against you, the Armenian people. 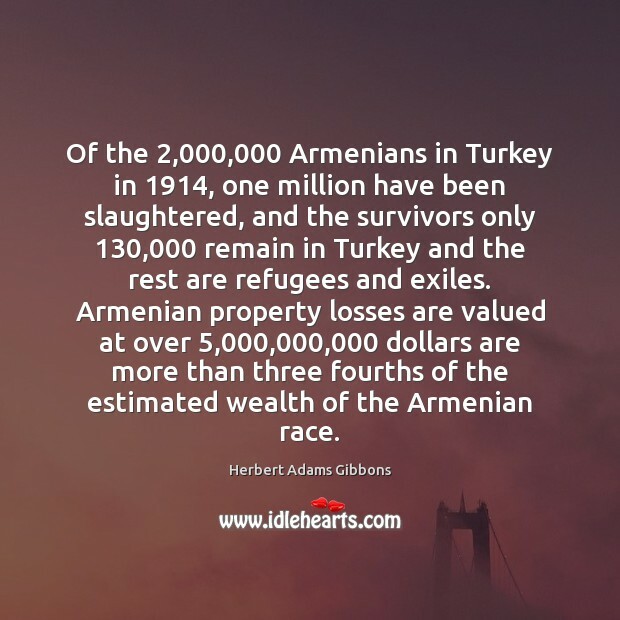 Of the 2,000,000 Armenians in Turkey in 1914, one million have been slaughtered, and the survivors only 130,000 remain in Turkey and the rest are refugees and exiles. 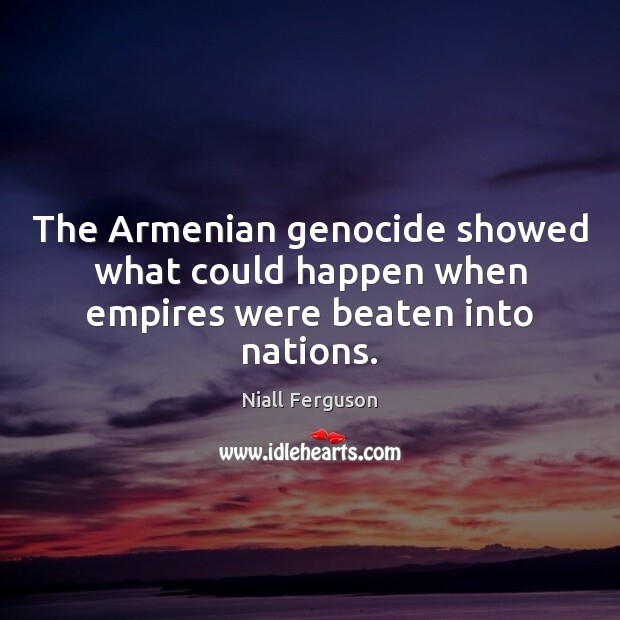 Armenian property losses are valued at over 5,000,000,000 dollars are more than three fourths of the estimated wealth of the Armenian race. 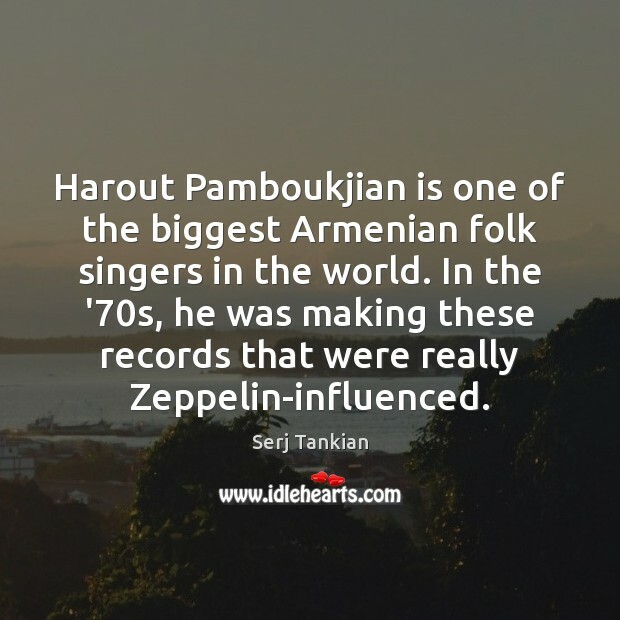 Harout Pamboukjian is one of the biggest Armenian folk singers in the world. In the '70s, he was making these records that were really Zeppelin-influenced. 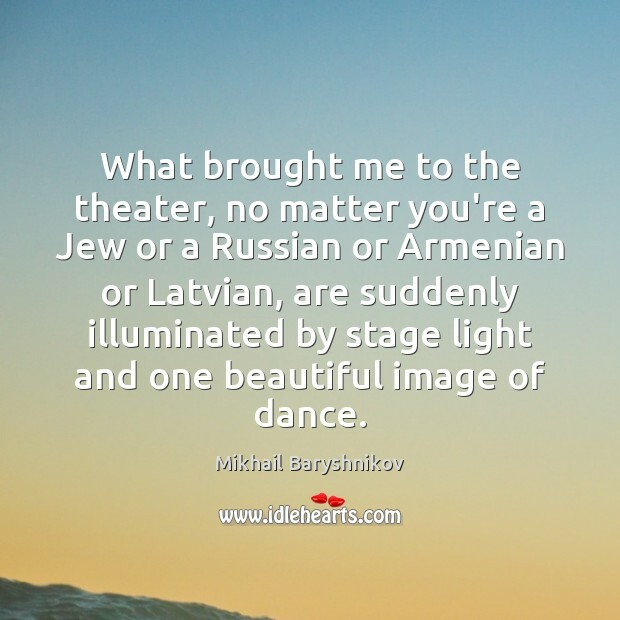 What brought me to the theater, no matter you're a Jew or a Russian or Armenian or Latvian, are suddenly illuminated by stage light and one beautiful image of dance. 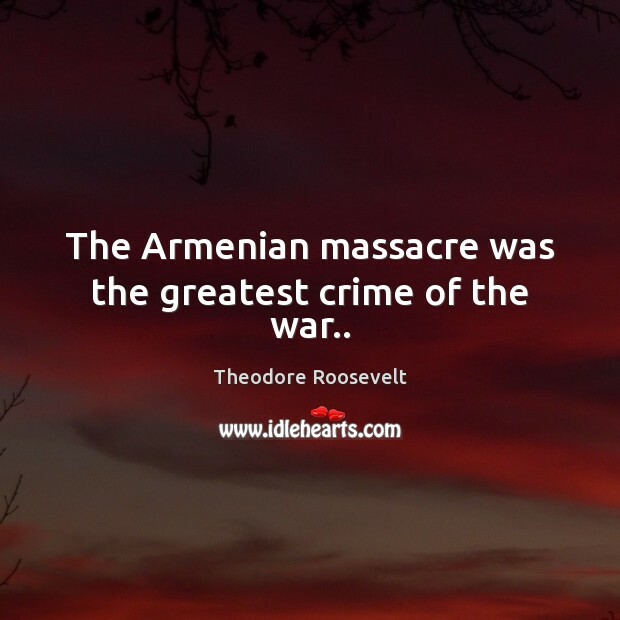 The Armenian massacre was the greatest crime of the war..
Armenian is the language to speak with God. From May until October, the Ottoman Government pursued methodically a plan of extermination far more hellish than the worst possible massacre. Orders for deportation of the entire Armenian population to Mesopotamia were dispatched to every province of Asia Minor. These orders were explicit and detailed. No hamlet was too insignificant to be missed. 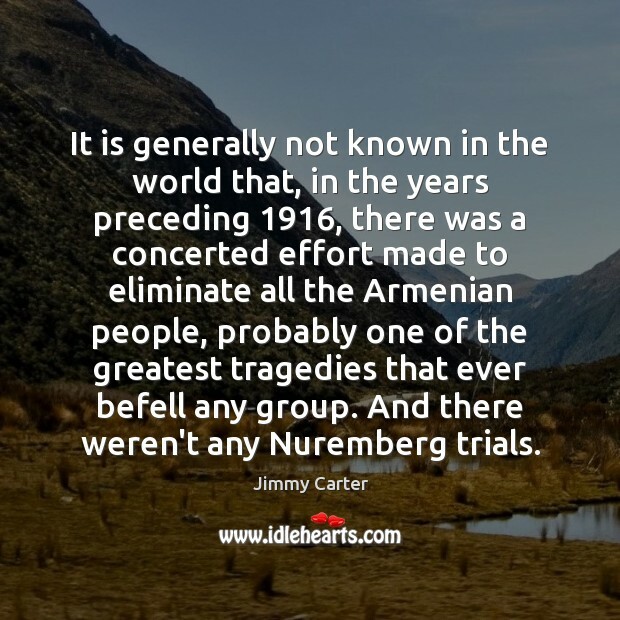 The news was given by town criers that every Armenian was to be ready to leave at a certain hour for an unknown destination. Go ahead, kill without mercy. 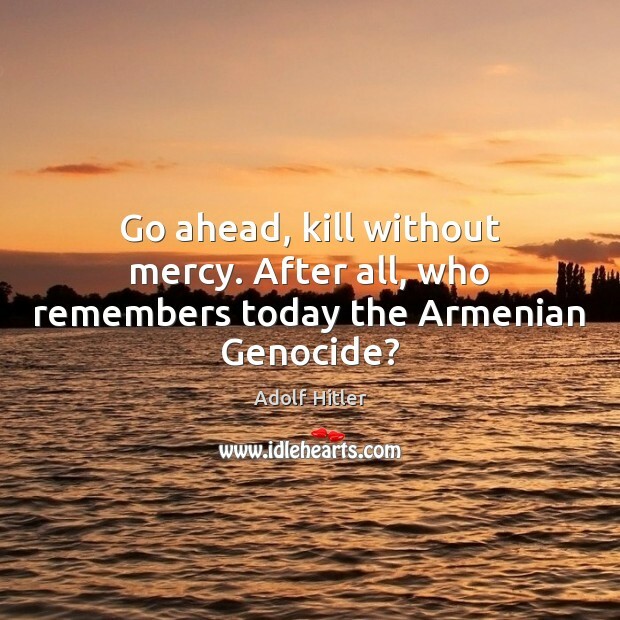 After all, who remembers today the Armenian Genocide? 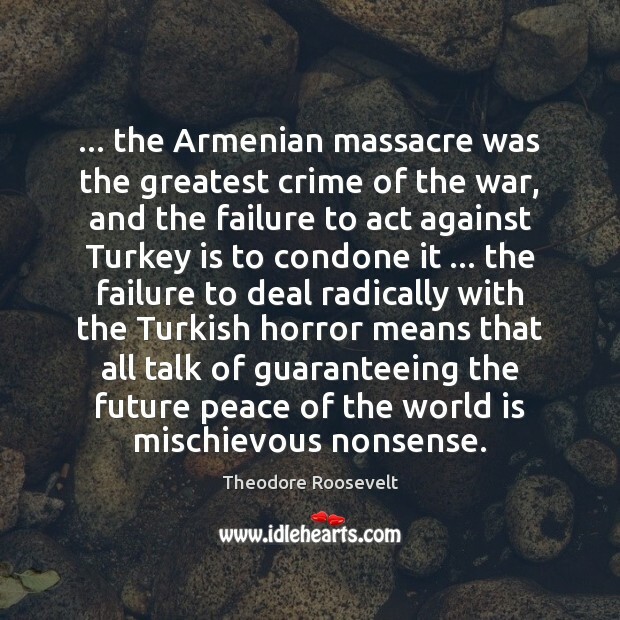 ... the Armenian massacre was the greatest crime of the war, and the failure to act against Turkey is to condone it ... the failure to deal radically with the Turkish horror means that all talk of guaranteeing the future peace of the world is mischievous nonsense. We are confident that the normalization of Armenia-Turkey relations can become the greatest input of the recent decades in achieving peace and stability in the South Caucasus. 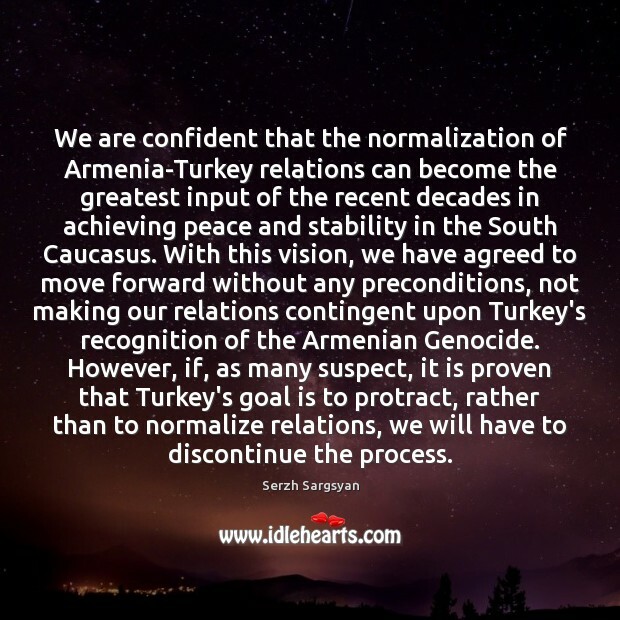 With this vision, we have agreed to move forward without any preconditions, not making our relations contingent upon Turkey's recognition of the Armenian Genocide. However, if, as many suspect, it is proven that Turkey's goal is to protract, rather than to normalize relations, we will have to discontinue the process.